There are over 55 million freelancers in the US. With perks like being your own boss, setting your own schedule, and the flexibility to work from anywhere, it’s easy to see why freelancing is becoming such a popular choice.Â Whether you are self-employed full-time or are freelancing on the side to earn some extra income, there are key software tools that can help you run a more effective and profitable business — the most important being accounting software. As a freelancer, it’s easy to focus on growing your business, finding new clients, creating marketing campaigns —Â anythingÂ but accounting. However, having a strong accounting process and being in control of your business’s finances is the key to running a successful business. Luckily, there are plenty of easy to use, affordable accounting solutions that will help you manage your freelance finances and taxes quickly so you can get back to doing what you love. In this post, we’ll share the top accounting software for freelancers. We’ll also share some other great freelance tools that you should know about to help your business succeed, including everything from email marketing software to website builders to mobile payment apps and more. We’ve spent hours researching and testing software so that you can find the perfect software solutions to run your freelance business. Affordable:Â For freelancers, every penny counts. With a slim or nonexistent accounting budget, freelancers need a solution that is free or offers affordable, low monthly payments. Easy To Use: Good accounting software should be easy to use as most freelancers don’t have time to spend hours balancing the books. Many also may have little to no previous accounting experience so they need something that is easy to learn and understand. Time-Saving Automations:Â All accounting software should feature automations, but freelancers are in particular need of any way to save time. Standard automationsÂ include automatic receipt uploading, mileage tracking, and live bank feeds. Good Organization: As a freelancer, it’s easy to put finances on the back burner, but knowing your exact income and expenses is key to running a successful business. 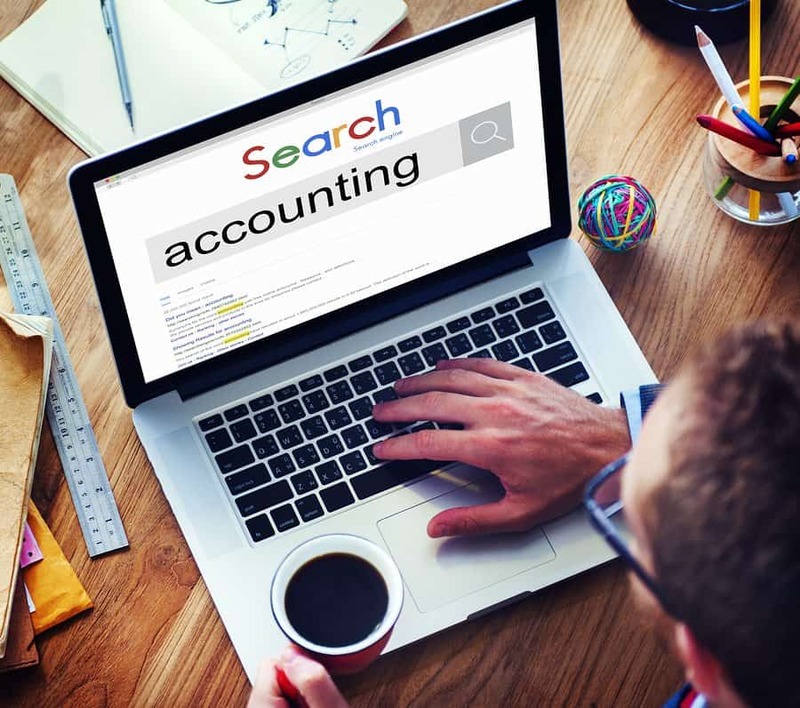 Accounting software should help you stay organized, run key financial statements, and make more informed business decisions. Tax Support: With estimated quarterly taxes and ever-changing deductions, freelance taxes can be overwhelming.Â The best freelance accounting software will include tax support to help you manage your self-employed taxes. Support Resources:Â Good accounting software will also provide you with ample learning materials to help you better your business. We weighed all of these factors when selecting the best accounting software for freelancers. Each of the top three accounting options displays many, if not all, of the features listed above to help make managing your freelance finances as simple as possible. Overall freelance accounting and tax support. Ideal for filing directly with Turbo Tax. Created in 2014, QuickBooks Self-Employed was designed specifically to help freelancers manage their finances and file their taxes easily. QuickBooks Self-Employed is incredibly easy to use, offers great mobile apps, and has the best tax support of all three programs on this list. The software helps you calculate your estimated quarterly taxes, track your mileage, find other deductions like the home office deduction, and even has a Turbo Tax integration for easy filing. On top of tax support, QBSE also helps freelancers keep track of their income and expenses. The software is ideal for freelancers looking for tax support, a way to separate personal and business expenses, and basic expense tracking. QuickBooks Self-Employed offers two pricing plans ranging from $10 – $17/month. The difference between the two is that the larger plan includes a built-in Turbo Tax integration and the ability to pay estimated quarterly taxes online. QuickBooks Self-Employed is incredibly easy to use. It has a modern, well-organized UI that takes very little time to learn and offers strong mobile apps that are also easy to navigate. QuickBooks Self-Employed’s customer support has its pros and cons. There’s no phone support, but there is a live chat feature if you want to get in touch with a representative directly. The good news is that QBSE provides a great selection of learning resources for freelancers including a comprehensive help center and a small business center chock full of business advice. QuickBooks Self-Employed is one of the best accounting and tax support solutions out there for the self-employed. The software offers the most advanced level of tax support on the market, and while this isn’t a full-fledged accounting app, it allows freelancers to manage their income and expenses. Read our full QuickBooks Self-Employed review to find out if this software is right for your business. Freelancers looking for strong accounting, good customer support, and the ability to create and send contracts to clients. Founded in 2015, AND CO is an up-and-coming freelance accounting software that was recently acquired by Fiverr, one of the leading freelance marketplaces. The software is easy to use, offers great customer support, and provides traditional accounting features like time tracking and project management. While the software does not offer tax support, it does have a one-of-a-kind contract feature that allows you to create legal contracts for projects that are compliant with the Freelancers Union. This allows you to dictate who retains rights to your work and accept signatures directly from clients. AND CO is ideal for freelancers who don’t need the extra tax support of QuickBooks Self-Employed and would rather have more traditional accounting features, contracts, and better customer support. AND CO has a free plan for freelancers with a single client and a paid plan which costs $18/month. The larger plan includes unlimited reports and more advanced proposals and contracts. AND CO is incredibly easy to use. The software was originally designed solely as an iPhone app so the mobile apps are also easy to navigate. AND CO offers great customer support. Representatives are generally kind and quick to respond to questions. The company also offers great business tools and support resources for freelancers, as well as all of Fiverr’s extensive freelance resources. AND CO is a great accounting and finance management tool for freelancers. The main drawback is that there is no tax support. However, you won’t find such developed proposal and contract features anywhere else. Read our complete AND CO review to see if this freelance tool is right for you. Freelancers looking for a complete accounting solution for free. Wave is a free accounting software solution that offers an incredible number of features for $0/month. While the software wasn’t designed specifically for freelancers like QuickBooks Self-Employed and AND CO, Wave is one of the best accounting programs to fit the needs of freelancers. It’s affordable, easy to use, and allows business owners to separate personal and business accounting. The software is ideal for self-employed individuals looking for a full accounting solution or those who need an affordable way to manage their freelance finances. Wave only offers one accounting package and it’s completely free. There are no user limits or feature limits. You get all of the great features of Wave for $0/month. The only extra costs are payment processing, payroll, and professional bookkeeping services. Wave is well-organized and its modern UI is easy to navigate. Wave offers many great support resources; however, getting in touch with an actual representative is difficult. There is no phone support and response times are slow. Wave is an affordable accounting program that gives you strong accounting and tons of features without breaking the bank. The software does not offer tax support, but it does offer payroll, making it a scalable solution if you plan on growing your freelancing business. The professional bookkeeping services are also great for freelancers who aren’t comfortable doing their own accounting or simply don’t have the time. Read our full Wave review to see if this accounting software is right for you. Your freelancing business is your baby, and as it takes a village to raise a child, it can also take an army of integrations to run a business. There are tons of great freelancing tools that can help you manage and grow specific areas of your business, like email marketing, invoicing, ecommerce, and more. Here are some of the top freelance software tools we recommend. If your freelance business reliesÂ heavily on invoicing and isn’t quite ready for all of the other features included with accounting software, invoicing software could be a simpler alternative to meet your business needs. Zoho Invoice is an easy to use, cloud-based invoicing program with incredible invoicing features. With over 15 invoice templates to choose from and international invoicing options, Zoho Invoice has a lot to offer. Read our complete Zoho Invoice review to learn everything this software is capable of. Invoicera is also a could-based program with a good feature set and attractive invoice templates. A forever free plan and over 35 payment gateway integrations are just a few of the perks of this invoicing option. Read our complete Invoicera review to learn if this software is right for you. Visit our invoicing software reviews for more options or compare our top favorite invoicing solutions for small businesses. Business owners are all too familiar with the dreadedÂ receipt shoebox. Receipt management software or expense tracking softwareÂ can help freelancers get organized and handle reimbursements with ease. Expensify is a cloud-based expense management solution with mobile receipt scanning, expense approval workflows, and next-day expense reimbursements. The software also integrates with key accounting programs for a seamless expense tracking experience. Shoeboxed is also a cloud-based expense management solution with receiptÂ scanning, mileage tracking, expense reports, basic CRM, and even tax prep. Shoeboxed also integrates with key accounting programs. Need to accept mobile payments from your customers? Mobile payment apps allow freelancers to accept payments anywhere — whether that be at a home show, a small storefront, or even a client meeting at Starbucks. If your freelance business could benefit from accepting payments on the go, mobile payment processing is a must. Square is one of the most popular mobile payment apps. It offers affordable flat rate pricing and free tools for selling online, making it easy to accept payments from your customers in multiple ways. Read our complete Square review to learn how Square could benefit your business. Take a look at our other mobile payment processing reviews or compare our top five payment processing solutions for businesses. A website is key for many freelancers who sell goods online or who need a professional online portfolio to showcase their work to clients. Luckily, there are plentyÂ of affordable, easy to use website builders that can give yourÂ freelance business the edge. Wix is an easy to use website builder that is ideal for ecommerce and blogging. Wix offers a compelling free version with unlimited pages and hundreds of customizable templates to choose from. Read ourÂ complete Wix review to learn more about this affordable website solution. Squarespace is a website builder that is perfect for ecommerce and blogs While there’s no free plan, the software offers amazing templates with a huge degree of customizability. Read our complete Squarespace review to see if this website builder is right for you. Read our other website builder reviews and ecommerce reviews to find the perfect solution for your business. One of the most challenging parts of freelancing is finding clients. Email marketing software can be a great way to market your services and target clients so you can grow your business. MailChimp is an easy to use email marketing software with affordable payments. The software offers email campaigns, email automations, and even analytics and reporting. Read our complete MailChimp review to learn how this software could help your business. Benchmark is another great email marketing option that is easy to use and offers good customer support. The software has hundreds of templates to choose from and the unique ability to send video emails and online surveys. Read our complete Benchmark review to see if this software is right for your business. Read our other email marketing software reviews or compare the best email marketing solutionsÂ to find the right option for your business. Running a freelance business can be difficult, but with the right tools, you can set your business up for success. With accounting solutions like QuickBooks Self-Employed, AND CO, and Wave, you can manage your finances and gain valuable insight into your business’s income and expenses. QuickBooks Self-Employed is ideal for freelancers in need of tax support; AND CO is ideal for legal, professional contracts; and Wave is ideal for the complete accounting package. Identifying your freelance needs and examining your current financial process can help you decide which program is the perfect fit for your business. Then ask yourself, what other tools could benefit my business? Email marketing software could help you grow your clientele. A website builder could help you create a professional brand. A payment processing app could help you increase your sales. Here at Merchant Maverick, our goal is to help you find the best software to help your business succeed. We have hundreds of reviews across multiple software industries so you can find the perfect software combo. Check out our comprehensive reviews and our other freelance resources as well. The post Best Accounting Software For Freelancers appeared first on Merchant Maverick. If your business relies on paper-based invoicing, you donât need me to tell you about the inconvenience of printing, mailing, and waiting to get paid. Despite the hassle, many businesses still rely on printing and mailing invoices â youâre not alone. However, more and more shops are switching to online invoicing platforms to eliminate the expense of paper, printing, mailing, and administrative costs — and get paid faster! We’ve already reviewed Square Invoices, so I recommend that you check out the review for a more detailed look at how Square stacks up against some other options. In this post, we are going to dive into Square Invoices and show you how to use the platform! From setting up a one-time invoice to setting up recurring invoices and creating deposit requests and reminders, youâre going to find out everything you need to know about using Square to send and receive payments. How Much Does Square Invoices Cost? The good news is that Square Invoices is entirely free to use. You can send unlimited one-off invoices, recurring invoices, scheduled invoices, and any other type of invoice, and youâll only incur payment processing fees at the time your customer pays you. When your customer opens your invoice and pays you online with their credit card, youâll pay 2.9% + $0.30Â for processing costs. If you use a saved Card on File from your Customer Directory to process an invoice payment, youâll pay 3.5% + $0.15. So letâs find out how to use Square Invoices to save time and get paid faster! To send an invoice with Square, youâll need to set up a Square account. The setup process doesnât take long, and Square only asks for necessary personal information â no credit checks required! Once youâve got an official Square account, you can access everything you need right at your dashboard. The same tools are at your disposal whether you access Invoices from your Square POS app or the Square Dashboard at your computer. Note that for this post, we are creating an invoice from our Square Dashboard â and here it is in the screenshot below. As you can see, I donât have any outstanding invoices. If I did have outstanding invoices, the blue box labeled Invoices would display the dollar amount. From this tile, I can quickly send a new invoice by selectingÂ Send an Invoice. Keep in mind that Square Invoices also syncs with your customer directory, so if you’re invoicing a past client, you can pull their name and information from the directory. If this is the first time you’ve sent this customer an invoice, this process will create an entry in your database. I want to mention the Invoice Method line briefly. This line refers to the delivery method. Square Invoices send the invoice via email as a default, but you can also select Share Invoice Manually in the drop-down and Square will generate a link. You can send the link to your customer via text message, social media account, or any other type of messaging platform. Working our way down the Invoice Details, letâs look at the Frequency. In the drop-down, you can choose One-time or Recurring. In the next section, Iâm going to peel back the layers of recurring invoices. But first, letâs focus on a one-time invoice and the Send line in the image below. This step is important for obvious reasons. When you think about customer behavior, remember that the fresher the value is in their mind, the more likely you are to get paid. Send the invoice as close to the deliverable as possible, and choose your due date carefully. As you can see in the image below, you have some flexibility when it comes to when and how you enable recurring invoices with Square. You can choose to send immediately, or choose a set time block such as in seven days or at the end of the month. You can also select a specific date. Whether you send a recurring or one-time invoice, the next steps are the same, so keep reading to find out how to fill in all of the upcoming invoice options, starting with Line Items. When itâs time to add items to your invoice, youâll choose from the drop-down menu. If you donât have inventory saved, you can simply type in the product or service and the price. Iâve added in ad-hoc services and prices to my Line Items in the screenshot below. Need to add a note next to the service? Select Customize on the line item, and you can add a simple note next to the specific product or service in your invoice. Remember, the clearer you are here, the better. Avoiding confusion by adding descriptive notes can benefit you if there is a question later on down the road. Under our Line Items, we can opt to Add Discount. In the example below, I applied a 25% new customer discount to this gift basket order by manually entering it into the discount fields. Under the total, notice that you can also Request Deposit. You can request a specific percentage upfront by adding in details here. Iâve added a request for a 50% due immediately upon receipt. Whether the purchase requires you to special order materials or you are holding an item for a customer, requesting a deposit can help reduce risk to your bottom line. Square Invoices automatically sets up reminders, but you can select Edit RemindersÂ (as seen to the right) and edit the frequency around the due date. If you select Tipping, your customer will have the ability to manually add the tip amount or choose a percent to add to the total. Storing a card on file can save your customer time and streamline the process for everyone. When you process a payment with a card on file, it is going to cost you a little bit more in processing costs, however. To refresh your memory, processing a Card on File payment costs 3.5% plus $0.15. If your customer sets up recurring invoices and approves automatic payments, you can see how this could benefit your business over the long run, despite the extra charge. There are a few ways to create a Card on File for Invoices. First, you can select Card on File on the invoice, as pictured above. If you select this, your customer does all the work on their end with approval. If you are at your Virtual Terminal or at the Square Point of Sale app and want to add your customerâs card to the customer director for future billing, you can do that, too. To add a card on file, head to the Customer Directory and manually add their credit card information. Square prompts you to print out and have your customer sign their approval to save their card on file. Make sure you keep that piece of paper in a safe place! In addition to selecting the option for your customer to store their card on file, you can attach additional files that pertain to the order. Square lets you add up to ten files (up to 25 MB worth, total). This includes JPG, PNG, GIF, TIFF, BMP, and PDF file types. Attaching files such as contracts, mock designs, or information about the sale may help support your case if there is a chargeback issue in the future, so it pays to add as much pertinent information as you can here. Need help drafting an agreement or documents? Square provides free professional contract templates so that you can customize and attach to invoices. Use these to spell out the details in your contract, get ahead of customer expectations, and avoid payment disputes. Square provides downloadable templates including Completion of Services, Order Forms, Improvement Agreements, Sale of Goods, and more. Visit Squareâs Build Your Contract page to find templates you may need and add to your invoices or keep on file. After entering in all of the most important details of the invoice, letâs see how it will look for the customer. In the upper right-hand corner of the invoice screen, I selected âPreview.â Here is what we have so far. You’ll notice right off the bat that the Square Invoice has a pretty large banner that is currently completely unbranded. Square reminded me through the green tutorial prompt that I can update my logo, color, and business information by heading to Account & Settings. Letâs head there next and update the banner to reflect the brand. Adjusting these setting and information is located at Receipt under Account. Note that the settings, branding, and contact information that you apply in Receipts is also reflected in the settings and branding applied in Invoices and Estimates. Below, I uploaded a logo and chose a background color from the available colors. After scrolling through the sample invoice preview, I also noticed that Square had my business name, address, and phone number in the footer. If youâre like me and donât have a brick-and-mortar business location, you can adjust the details of your contact information, which is what I will also be doing in Account & Settings. All you have to do to disable location display is toggle âShow Location.â The only contact details displayed on my invoices now are my business name, and contact phone number. Just how I like it! Here is our finished invoice. Note that we selected that the customer can save their card on file. Additional authorization is all ready for them to click right below Billing Information. As I scroll down in the invoice, you can see that Iâve added a short note, itemized products, and the discount. Also remember that for this order, I required a deposit before assembling the baskets. When viewing the invoice, the total balance and the due date for the deposit are laid out clearly, as seen in the screenshot below. And that’s it! The invoice ready to send to the client. If you deal primarily in custom orders, or you have multiple clients, it’s quite likely you have several outstanding invoices at any given time. The good news is that with Square Invoices, you don’t need to hope you’ve remembered to enter an invoice in your spreadsheet so nothing slips through the cracks. In the Square Dashboard,Â you have many options to sort and search for invoices. You can search for and view every invoice youâve sent by customer ID, invoice ID, invoice title, or customer email. You can also sort invoices to only display sent, outstanding, paid, scheduled, draft, and unsuccessful invoices. The other way you can sort your invoice view is by a specific date or a date set. By selecting only to view outstanding invoices, you know who you may need to follow up with this week. Following up is easy â you simply select the invoice. As you can see in the screenshot below, a vertical screen appears to the right of your dashboard when you select the specific invoice. Here you can view the recent activity, and track when (or if) your client saw the invoice and any action taken with it. At the bottom left, you can select Remind and draft a quick reminder message to send to your customer. Need to record a payment received by cash or check? No problem, you can manually add the amount by selecting Record Payment under the Payment Schedule section. If your customer is standing in front of you or will be heading in to see you, the free Square POS app is a great way to take their payment. For one, if you swipe, tap or dip the card with a connected reader, you can process the payment at 2.75% rather than 2.9% + $0.30. Here is the next payment screen. You can record partial or full payment or charge a swipe, tap, or dip a card on your connected device. While we are here, I want to remind you that the Square POS app has all of the same invoice functionalities as far as processing payments, tracking, and yes â even setting up and sending invoices. Iâm happy to report that Square recently started supporting estimates. If you havenât quite closed the deal yet with your customer, or you provide a service-based business, sending an estimate is an essential step. You can access Estimates within the Invoices section. I filled in the details of a bathroom remodel estimate below. The same branding and delivery methods apply to estimates as they do to invoices, so if youâve already set that up, you’re all set! Head back to the previous section in this tutorial,Â Preview Invoice & Customize Appearances, for a refresh on how to update logo and colors if you haven’t yet. Is Square Invoices Right For You? As far as making your life easier as a business owner, Square delivers when it comes to simplicity and ease of use. As far as getting paid, invoicing a client is a bit more expensive when it comes to processing credit cards, but you can send an unlimited amount of invoices for free, record check or cash payments, and get the simple tracking and reporting tools with no added fees. If you compare Square Invoice to paper printing, mailing, and waiting, itâs no contest â Square wins hands down. But Square does have its limitations. If you are looking for advanced reporting features, integrated expense tracking, and live bank feeds, you may want to shell out some more money for a premium solution like FreshBooksÂ (read our review). Check out our Invoicing Software Comparison chart to see different options available. That being said, I like that Square seems to be listening to their user base when it comes to improving functionality and offering more solutions, as evidenced by the recent addition of estimates this year. All in all, with Square you have everything you need to send an invoice or a deposit request and easily track activity for follow-up. If you are ready to give it a shot, set up a free Square account and start sending invoices! Want to know more about Square? Again, don’t forget to take a look at our Square Invoices Review, and for a better look at everything Square can do for you, check out our complete, in-depth Square review! The post How To Use Square Invoices To Ensure You Get Paid On Time appeared first on Merchant Maverick. The name PayPal is synonymous with P2P payments and digital wallets for consumers, but over the years PayPal has also dabbled in creating options for users to pay with their PayPal balances in stores. Despite a few failed attempts, PayPal seems to finally have worked out the kinks in the process. PayPal users can now use near field communication (NFC) technology to spend their balances at brick-and-mortar shops. Wondering “how do I pay with PayPal in stores?” Do you have other questionsÂ about PayPal payments or how PayPal works in general? The answers aren’t always easy to find. Thankfully, Merchant Maverick is here to help. Let’s take a look at the answers to these questions and more and set the record straight about all things PayPal! How Do You Pay With PayPal In A Physical Store? If you have a PayPal balance and you want to spend it in a brick-and-mortar store, you actually have two options: NFC-based payment using your Android phone, or a PayPal-issued card (of which there are several options). Let’s start with looking at the card options PayPal offers, and then we’ll talk about NFC payments with PayPal. PayPal offers MasterCard-backed debit cards for business and personal users, depending on what type of account you have. For consumers, there’s even a prepaid card that allows you to load your PayPal balance in set increments, among other perks.Â These cards are linked to your PayPal balance and even allow you to withdraw cash from ATMs at no charge from PayPal (the machines themselves may still charge a fee). PayPal also offers two branded credit cards (though, apart from depositing cash back rewards into your bank account, these cards have very little to do with your actual PayPal balance). TheÂ PayPal Cashback MasterCard (read our review) and the PayPal Extras MasterCard (read our review) offer different perks and incentives for their users. Can You Use PayPal Credit In Stores? Currently, PayPal doesn’t support the use of PayPal Credit in stores. Note that PayPal Credit exists separately from PayPal’s credit cards. PayPal Credit specifically applies to online purchases and offers 6 months of no-interest financing on purchases. Where Can You Pay With PayPal In Stores? There’s no specific list of businesses or locations that accept PayPal payments in-store, because the debit and credit cards are accepted by any merchant that can process MasterCard, which… is just about any business that can process credit cards to begin with. Likewise, to accept NFC payments, merchants need to have the appropriate hardware — specifically, an NFC-capable credit card reader or terminal. How Do You Set Up PayPal NFC Payments? At the time of writing this (February 2019), PayPal doesn’t currently support NFC payments from directly within the app itself.Â Instead, PayPal has opted to form a partnership with Google to allow Android phone users to connect PayPal to their Google Pay accounts and even make it the default payment option. That means in order to pay with PayPal in stores, you need an Android phone that supports Google Pay. Samsung Galaxy users can also add a PayPal account to Samsung Pay if they prefer. Both options are easily accessible within the Settings menu of the PayPal mobile app. Can You Add PayPal to Apple Pay? Unfortunately, PayPal does not currently support NFC payments with Apple devices, and you cannot link your PayPal balance to Apple Pay or Apple Pay Cash. That may change in the future, but for now, it’s not an option. You won’t see an option to link PayPal in the Apple Pay wallet setup, or in the PayPal app on an iOS device. However, Apple does allow you to link your PayPal balance to your iOS account so that you can use PayPal to pay for iTunes purchases, as wellÂ as iCloud and Apple Music subscriptions. By enabling PayPal’s One Touch feature, you can eliminate the need to log into your PayPal account to authorize each purchase. How Can Merchants Accept PayPal Payments? Keep in mind that customers have two ways to pay with PayPal: using one of PayPal’s MasterCard-backed debit or credit cards, or NFC payments. The good news is that if you already accept debit or credit card payments, you don’t need to do anything more to accept PayPal cards. As long as your agreement includes MasterCard processing (and it almost certainly does), you’re good to go! If you don’t currently accept credit/debit cards and are considering making the leap, we recommend checking out our top-rated credit card processors as a starting point! For most customers to pay with NFC via Google Pay, you (the merchant) need to have NFC-enabled hardware. Look for the contactless payment symbol on your credit card reader/terminal, or check the specs in the user manual or online. Samsung Pay users can use a nifty feature called MST (magnetic secure transmission) to emulate a card swipe even if the terminal doesn’t support NFC hardware, but you likely won’t see this feature used very often. PayPal offers an almost dizzying array of payment tools for both consumers and merchants, and it’s likely we’ll see the features list grow even longer in the future. Will we see NFC support in the PayPal app directly, or added support for Apple Pay? Currently, that’s an unknown, but in the meantime, we can all appreciate the fact that the future has finally arrived and we can actually spend our PayPal balances in stores — not just online. The post How To Use PayPal In Stores (And Other PayPal Questions) appeared first on Merchant Maverick. If you’re in the market for a mobile card reader and a credit card processing app, there’s no shortage of options. The trick is finding the right option for a given business. One of the big factors that determine which apps are suitable is what kind of smartphone or tablet you have. Fortunately, if you have an iOS device — that is, an iPhone or an iPad — you have plenty of options. The first decision when choosing a card reader and mobile processing app is selecting the device itself. For the most part, iOS-compatible mobile apps and readers support iPhones and iPads alike with no major issues. But after you’ve narrowed down the list of apps based on supported devices, you’ve still got several other factors to consider — transaction costs, monthly fees, essential features, whether you want a standalone mobile app or something that supports invoicing and online payments… and that’s just to get the list started! The cost of the card reader and accepted payment methods are just as important as app features when you’re dealing with mobile processing. So without further ado, here’s a list of our favorite card swipers and mobile apps for iPhones and iPads, as well as why we like them. Payment Depot (read our review) offers a subscription-based pricing model for its merchant accounts, with a host of software options for businesses to choose from (including Clover). Standard pricing plans for Payment Depot start at $49/month, with transactions processing at interchange + $0.15.Â However, if you’re looking for a mobile solution that runs on an iPad or iPhone, Payment Depot offers the Swipe Simple app, and Merchant Maverick readers can get access to special pricing that’s competitive even for low-volume merchants. With this exclusive plan, you’ll get the Swipe Simple app and payment processing at 2.6% + $0.10 per transaction, with only a $10 monthly account fee. Remember, this is a Merchant Maverick exclusive, so you’ll need to use our link in order to get the special pricing. Swipe Simple is a very functional credit card processing app. It runs on iPhone and iPad devices, as well as Android hardware. It even comes with a demo mode so you can test out the app before you sign up, which is always nice to see. There’s limited inventory management, but you can track stock counts. There’s even an offline mode. Check out our Payment Depot Mobile/Swipe Simple review for a closer look at the software. In addition to the app, Payment Depot offers a choice of two readers. The Swift B200, a Bluetooth-enabled reader that supports magstripe and chip card transactions, is available to merchants for free. If you’d like to add contactless payments, you can get the Swift B250 for just $25, which is a fantastic price for an all-in-one card reader. Shopify (read our review) is mostly known for its ecommerce platform, but it has also developed a quite powerful POS app that integrates with its online shopping tools. Shopify POS is included for free in all standard Shopify ecommerce plans, but if you don’t plan to sell online or only need some very basic online sales tools, there’s another option: Shopify Lite (read our review), which lets you create “buy” buttons and run a Facebook store for online sales, as well as giving access to the Shopify POS. Shopify Lite will run you $9/month and 2.7% per transaction, which is a reasonable cost. The POS app runs on both Android and iOS, but an iPad offers the best user experience and access to the most features. However, keep in mind that the Lite plan is still limited even with an iPad; specifically, there’s no support for a cash drawer, barcode scanner, or receipt printer. That feature is only accessible with the Shopify Basic plan, which costs $29/month and includes a full web store with unlimited products. Shopify also offers a free Chip & Swipe Reader for its merchants. It retails for $29 normally, which is still a great price for a Bluetooth-enabled chip card reader. We’ve reviewed the Shopify Chip & Swipe reader already, and you can check that out for a closer look. Square’s mobile point-of-sale app, simply called Square Point of Sale, gets aÂ lotÂ of love, and rightfully so. The appÂ is free to use and you only pay a per-transaction fee of 2.75%. Square’s pricing makes it very attractive for low-volume and startup businesses, and there is an assortment of hardware options available. The Square Point of Sale app supports both iOS and Android devices, but certain features are not universally supported. An iPad gives you access to the vast majority of these features, but the iPhone supports all of the core features and many of the secondary, non-universal features. Check out our in-depth Square POS review for a comprehensive look at the free POS app and its features. For a closer look at the rest of Square’s products, check out our complete Square review. As far as hardware goes, let’s start with the basics. Square has been offering a free basic magstripe reader for a long time, and it still does. (Note: you can also get the Square reader in some retail stores for $10.) However, the removal of the 3.5mm headphone jack from newer iPhone models has complicated matters somewhat. Square responded by rolling out a Lightning port magstripe reader. When you sign up for your free Square account, you can choose which model of reader you need. Square no longer offers multiple free readers; after the first one, you’ll pay $10 per reader. However, it’s important to also consider accepting EMV chip cards, especially if you’re doing a consistent volume of business or large transactions. Square’s Contactless + Chip Reader supports both EMV and contactless NFC payments. It includes a separate magstripe reader for swipe transactions. The Contactless + Chip Reader sells for $49, but Square does offer financing for hardware purchases that cost at least $49 (convenient, isn’t it?). You can also purchase cash drawers, receipt printers, and even tablet stands directly from Square. Want to know more about Square’s hardware? Check out A Guide to Square Credit Card Readers & POS Bundles for an in-depth look at your options. Fattmerchant Mobile isn’t an option that I talk about a lot, mostly because it’s best targeted at high-volume businesses. However, until recently, it was an iOS-exclusive, and even now, the iOS platform is more robust than its Android counterpart. Fattmerchant (read our review) offers customers their own merchant accounts, which translates to a high degree of account stability. Its Omni platform, which includes the mobile processing app, invoicing, and a customer database and inventory management, combines many core features in a single platform. Check out our Fattmerchant Mobile review for a more comprehensive look at the app and its features. Fattmerchant operates on a subscription pricing model, with a monthly fee that starts at $99/month. Mobile and invoice transactions cost interchange fees + $0.15 per transactions — there’s no percentage markup at all. However, if you opt for the mobile credit card carder, you’ll get the card-present rate of interchange fees + $0.08 per transaction. You can simply key in all the transactions if you prefer — just know that you’ll pay higher interchange fees in addition to the $0.15 markup. Fattmerchant offers a choice of two different card readers, the BBPOS Chipper BT and the BBPOS Chipper X2 BT. The Chipper BT model supports both magstripe and chip card transactions and connects to your device via Bluetooth. It goes for $75. The Chipper X2 adds contactless payment support to the magstripe and chip card readersÂ and also connects via Bluetooth. It goes for $100. While I have no qualms with saying the four options I’ve presented are the best of the best, there are a couple of other mobile apps and card readers that are good options for iPhone and iPad users. So let’s talk about them! PayPal Here integrates with the rest of PayPal’s services so that you can sell online and in person seamlessly, much like Square. While it doesn’t offer quite as many features as Square, it’s still a very functional mobile app. Check out our PayPal Here review for a closer look at all the features. PayPal Here processes payments at 2.7% per transaction, with keyed entry at 3.5% + $0.15. PayPal no longer offers a free card reader. Instead, you’ll need to shell out $15 to get its magstripe reader. PayPal will also place limits on your account if you opt for the magstripe reader, making it viable mostly for very low-volume businesses. As an alternative, PayPal offers two Bluetooth enabled cardreaders, starting with the Chip and Swipe reader, for $24.99. If you also want contactless support, PayPal’s Chip and Tap Reader (retail price $59.99; bundle with stand $79.99). However, there’s another option for iPad users who want a more robust software option: Vend (read our review) with a PayPal integration. You’ll get PayPal’s 2.7% rate for payment processing with no monthly fee from PayPal. Of course, you’ll have to choose your Vend plan as well — and get the appropriate hardware. You’ll need the PayPal Chip Card Reader, which goes for $99. SumUp (read our review) isn’t quite as complex or feature-laden as some of the other options on this list, but if you just need an iPad or iPhone credit card reader and app, SumUp will get the job done. Payments process at 2.65%, and there’s no monthly fee to use the software. For a better idea of how SumUp stacks up against the competition, I suggest checking out our Square vs SumUp comparison. SumUp’s cardreader, at $69, is definitely a little expensive, but it’s a beautifully designed piece of hardware. It’s Bluetooth enabled and supports magstripe, chip card, and contactless payments. You can also occasionally catch it on sale for a reduced price. I suggest checking out our SumUp unboxing review for a closer look at the reader. Which iPhone/iPad Credit Card Swiper Is Right For You? In payment processing, especially mobile processing, it’s impossible to take a one-size-fits-all approach, so it’s really important that you, the business owner, spend some time figuring out what features you need in a credit card processing app. You should also consider what kind of pricing model works best for your business, and do the math to see what you’d really pay with each option on your short list. And of course, there’s the card swiper, too. While a free magstripe reader might be enticing, you should really consider upgrading to a chip card-capable reader to protect your business. The takeaway is that there is no shortage of great credit card processing apps for iPhone and iPad users! And you’ll get a great assortment of credit card readers to go with. Don’t forget to check out our companion article, The Best Credit Card Reader Apps to Android. Thanks for reading! What’s your favorite credit card processing app and mobile card reader for iOS devices? The post The Best Mobile Credit Card Readers For iPhone and iPad appeared first on Merchant Maverick. It can be a challenge to keep up with all the different payment services PayPal offers because there are so dang many, and new ones seem to come out all the time. PayPal services also frequently change names as they are rebranded or acquired from other companies. One PayPal service you might be curious about, as it has generated some buzz lately, is PayPal Credit, formerly Bill Me Later. Read on to learn about this PayPal payment option. PayPal Credit is a line of credit issued by Synchrony Bank. This virtual line of credit functions similarly to a credit card, letting you pay for online purchases in installments, rather than upfront in-full.Â Approved PayPal users can use PayPal Credit as a payment option whenever they check out using PayPal, either from a website or at a brick-and-mortar store that accepts PayPal. Note that PayPal Credit is not the same thing as a PayPal debit or credit card. PayPal Credit is easy to apply for and start using. But it’s important that you understand a little bit about how PayPal Credit works before you start using this service. Any PayPal user can apply for PayPal Credit. If you don’t have a PayPal account already, you will be prompted to create one when applying for PayPal Credit. The application is quick and simple: you only have to supply your date of birth, your income after taxes, and the last 4 digits of your Social Security number. Be warned thatÂ PayPal will do a hard credit pull, which might ding your credit score a few points. Typically within seconds, you’ll have your approval answer. PayPal doesn’t have any clearly stated applicant criteria, but applicants with poor credit or limited credit history may be declined. Note that PayPal Credit is the new name for Bill Me Later, which has been around for more than 10 years. If you already had a Bill Me Later account, you now have a PayPal Credit account. Once you have your PayPal Credit account set up, you can use PayPal Credit in conjunction with your PayPal account anywhere PayPal is accepted. You simply need to set up PayPal Credit as your default “preferred” payment option for PayPal, or select PayPal Credit as your payment option when checking out. Some merchants may also prompt you to pay using PayPal Credit instead of your regular PayPal preferred payment option (which is usually linked to a credit or debit card, or your bank account). You can manage your PayPal Credit settings using a web browser or with the PayPal app. You can also make payments on your balance and see your current credit limit — just like you would for any credit card app you might already use. As part of its “Cash Advance” feature, it’s possible to use PayPal Credit to send money to someone online using the Send Money tab, the same way you can with any other PayPal Wallet option.Â You cannot use this feature to send a cash advance to yourself. However, you can receive a cash advance directly from PayPal Credit if you are a furloughed federal government worker: in January 2019, PayPalÂ announced a program whereby PayPal will extend a one-time 0%-interest cash advance of up to $500 to furloughed federal workers via PayPal Credit. PayPal Credit requires monthly payments on your balance. You can make the minimum payment at the end of the month, make payments in any other amount whenever you like, or pay your balance in full at any time, similar to a credit card. For new accounts, PayPal Credit has a variable APR of 25.99% on standard purchases and cash advances (at the time of publishing). Being variable, the APR will fluctuate with the Prime interest rate. PayPal Credit is currently promoting a 6-months special financing offer, in which you won’t have to pay any interest on purchases of $99 or higher for 6 months. You will be charged interest if you don’t pay the balance in full within 6 months. To send money (Cash Advance) with PayPal Credit, PayPal will charge a flat fee of 2.9% + $.30 US dollars per transaction. This is the same fee you pay when you use a debit or credit card to send money through PayPal. To qualify for the 0%-interest cash advance for federal government workers, you’ll need to be a U.S. federal government employee with a PayPal Credit account in good standing. This promotion will end once the government reopens and furloughed workers receive their first paycheck, or the $25 million PayPal has set aside for the program has been exhausted. Fast & Convenient:Â You can use PayPal Credit to make a purchase as soon as you’re approved (usually within seconds). In comparison, you might have to wait a week or longer for a credit card you’ve applied for to come in the mail. Use Anywhere PayPal Is Accepted:Â This includes thousands of websites and a growing number of brick-and-mortar stores as well. PayPal Purchase Protection:Â If your online purchase doesn’t match the description or doesn’t arrive, PayPal will refund the full purchase price plus original shipping costs. Low Credit Limit:Â Unlike a traditional line of credit, PayPal Credit limits are comparable to or even lower than most credit card limits, with most users’ limits ranging from just $250 to a few thousand dollars. Hard Credit Inquiry:Â The hard credit pull during the application process will likely ding your score several points. Won’t Help You Build Credit:Â Unlike a credit card company, PayPal Credit does not report your payment activity (positive or negative) to credit agencies. High APR:Â You can probably get a better APR with a credit card, especially if you have good credit. *Note that this pro/con list is from a PayPal Credit user’s point of view. From a merchant’s point of view, there are no major downsides to PayPal Credit, other than the downsides of using PayPal in general (namely, the high transaction fees). However, a potential upside of advertising promotional financing with PayPal Credit as a merchant that already offers PayPal as a checkout option is that PayPal users typically spend more and make larger purchases with PayPal Credit. Can Businesses Use PayPal Credit? Yes, your customers can pay using PayPal Credit as long as your business accepts PayPal payments. But when it comes to using PayPal Credit for business purchases, there are better options available. Businesses that accept PayPal at checkout can offer customers the option to pay with PayPal Credit, either online or in-store.Â If you accept PayPal as a payment form, PayPal Credit is already available to customers who check out with PayPal at no additional cost to your business. When a customer makes a purchase using PayPal Credit, PayPal deposits the full amount of the purchase into your account just as with any other PayPal transaction, so there is no added risk to you as a PayPal merchant; accepting a PayPal Credit payment is the same as accepting any other PayPal payment. However, if you make PayPal sales online, you can promote PayPal Credit financing options on your website, which might be of added benefit to businesses that sell large-ticket items online. How Do You Get Paid With PayPal Credit? PayPal Credit At POS: Some, but not all, point of sale systems allow you to accept in-person PayPal payments. Some examples of PayPal-friendly point of sales include Shopkeep, Vend, and of course PayPal’s own PayPal Here. PayPal Credit On Your Website: If you allow customers to check out with PayPal on your website, PayPal will give you promotional banners that let you advertise financing options to your customers. You can also include a PayPal Credit button to prompt customers who don’t have PPC set up as their preferred PayPal payment method to pay using PayPal Credit. PayPal Credit With Mobile Payments: If you accept Google Pay or Apple Pay at your point of sale, and the customer has PayPal with PayPal Credit set up as their default payment method, customers might pay using PayPal Credit using their smartphone. PayPal Credit With PayPal Invoice: When you send a customer a PayPal Invoice, your customer may use PayPal Credit to pay that invoice. Of course, only customers who have been approved by PayPal Credit may pay with PayPal Credit, and then only up to the amount of their credit limit. Customers who have set up PayPal Credit as their preferred PayPal payment option will automatically pay for all their PayPal purchases using Credit; customers can also choose PayPal Credit in their PayPal Wallet for individual transactions when presented with this option at checkout. How Can You Use PayPal Credit For Business Purchases? Businesses might also potentially use PayPal Credit to make business purchases from merchants or vendors that accept PayPal. However, because it is geared toward consumers, credit limits on this line of credit are on the low side and APRs are on the high side. Unless you have a very small enterprise, you are better off getting a traditional line of credit or business credit card to make business purchases. As another alternative to making business purchases with PayPal Credit, PayPal also offers small business loans ranging from $5,000 to $500,000 with LoanBuilder: A PayPal Service. PayPal Credit can be a convenient option to have in your virtual wallet if you want to the ability to make purchases with PayPal even when you don’t yet have the funds to do so—for example, eBay businesses frequently make purchases using PayPal. Or, you might use PayPal Credit to finance a large one-time purchase such as a refrigerator. You can also use PayPal Credit to send someone money, even if you don’t have that money in your account. If you own a business and already accept PayPal, promoting PayPal Credit as an online checkout option could result in higher purchases. However, using PayPal Credit not an effective way to build credit, as PayPal doesn’t report your payments to credit agencies. Plus, you will be charged heavy fees if you don’t pay off your balance at the end of each month (or the end of the 6-month promotional financing period). If you are looking for a larger line of credit to use for your business, you might want to look at our top-ratedÂ business line of credit providers. Or if you’re looking for a more flexible credit option with a lower APR, check out this comparison of our favorite credit cards. The post What Is PayPal Credit & How Does It Work? appeared first on Merchant Maverick. Venmo has earned its status at the top mobile wallet and P2P payments app, ranking along with PayPal and Square Cash as easy, free, and trusted ways to move money around and pay back friends or family. Venmo launched in 2009 and was eventually acquired by Braintree and then PayPal. Despite being owned by PayPal, Venmo is hardly a PayPal clone. With an estimated 10 million users, Venmo combines a social element with its payments platform, publishing a record of the transaction (though not the amount) to its social feed, along with a note or comment (or sometimes just an emoji). If you want a more detailed look at Venmo, check out our Venmo review for more information! This social network aspect is one of the ways Venmo sets itself apart from its competitors. The company has also more recently begun allowing merchants to accept payments through Venmo — though with some rather stringent requirements. If you’re wondering whether Venmo could be right for your business, you’re in the right place — we’ll talk about what the requirements are to implement Venmo as a payment option at checkout, and what kinds of businesses Venmo is best suited to. How Do You Accept Venmo For Businesses? Selling goods or services in person. Receiving payment for goods or services through the Venmo app. Facilitating peer-to-peer transactions between two Venmo users. What does that all mean? Essentially it means you can’t use Venmo directly to accept payments. If you, for example, sell Pampered Chef, Scentsy, LulaRoe, or any other kind of product, your clients can’t just send you a payment via Venmo. If you sell something on Facebook, you can’t meet up with someone and hand them the item in exchange for a Venmo transaction. If you want to accept Venmo for payments, you need to follow the appropriate steps and build the payment option into your website or mobile app. It also means that you can’t set up a service that says “You send us the money (plus a possible convenience fee) and we’ll send it to someone else for you.” It should be pretty obvious that is a no-no, but generally, those kinds of things need to be clearly stated for legal purposes. The last requirement? You must be based in the US, which a major difference between Venmo and its global parent company, PayPal. Venmo currently isn’t available to users outside the US at all. Now that we’ve got the basics covered, let’s talk about how to you can actually implement Venmo payments. Braintree Payment Solutions (read our review) is a merchant services provider with a special focus on online and mobile payments. The company, as I mentioned early, is owned by PayPal, and its offerings work pretty seamlessly with PayPal’s, but it is a fairly separate entity. For example, you do get a traditional merchant account. (PayPal is a third-party payment processor, which leads to a greater degree of account stability than merchant accounts.) Braintree is global friendly — even if that’s irrelevant in the case of Venmo payments — and it supports a huge array of payment types, both in apps and on the web. As a result, it will take a developer to implement Braintree payments and get the most out of the Braintree platform. Finally, Braintree’s standard pricing applies for Venmo transactions, so most merchants will pay 2.9% + $0.30 per transaction unless they’ve already negotiated special pricing. Venmo transactions are settled according to the same terms as Discover card transactions, but you can identify them in your dashboard by looking for the Venmo logo in the payment type. If Braintree isn’t quite what you’re interested in, you can also implement Venmo Payments using PayPal Checkout (formerly known as Express Checkout). Checkout is PayPal’s recommended option if you are adding payments to an ecommerce shopping cart or offering PayPal as a supplemental option to another credit card processor. Keep in mind that PayPal (read our review) is a third-party payment processor and, as such, comes with an inherent risk of account instability — the potential for holds on funds or even an account freeze if PayPal’s system flags any suspicious behavior. Also, this option still requires a developer and some code work. PayPal has upgraded its Checkout offering with “Smart” customizable payment buttons and contextual tools that will display multiple checkout options — PayPal, PayPal Credit, or Venmo — based on what it knows about a consumer. Currently, Venmo is only available on mobile devices, though that may change in the future. It’s also worth noting that PayPal Checkout doesn’t allow you to present Venmo as a stand-alone payment option. If you’d like this feature, you’ll need to go with Braintree instead. With Venmo transactions, you’ll pay your standard PayPal rates, which will be 2.9% + $0.30 per transaction for most merchants. (Keep in mind that PayPal does have a micropayments option for merchants whose average transaction sizes are under $10.) PayPal treats them just like all other transactions; currently, they are not identifiable as Venmo transactions. Again, PayPal may change this feature down the line. Finally, it’s important to note that because Venmo is owned by PayPal, PayPal’s Seller Protection policy applies to Venmo transactions. For buyers, Venmo has its own protection policy, which is the same as PayPal’s in many ways, though Venmo admits there are some differences. Venmo lays out its terms and conditions for merchants in the user agreement if you’d like to take a closer look. Should You Add Venmo To Your Payments Set Up? Venmo is a powerful tool. An estimated 10 million users make for a significant userbase that many merchants may want to tap into. But all the same, accepting Venmo for your business only makes sense in certain contexts. You can’t just use the Venmo app to accept payments directly — you can’t process any sort of in-person transaction, as a matter of fact. If you do sell online, adding Venmo only makes sense if you have a very strong mobile user base. For one, PayPal will only display Venmo as a checkout option for mobile devices. Second, there’s no sense in adding Venmo if your customers don’t even know what a mobile wallet is. However, if you do have a mobile app and your audience is young, tech-savvy and social, adding Venmo as an option makes a lot of sense. It’s available on both Android and iOS, and if you go through Braintree you can present Venmo as a standalone checkout option rather than as a payment option that is linked with PayPal. It’s pretty likely that we’ll see Venmo sinking more resources into its business platform in the coming year, so we could very easily see some changes to Venmo’s requirements for business. If you’re still on the fence about Venmo, there’s no rush! Familiarize yourself with the product and wait to see what else Venmo has in store before you make a decision. Have questions or comments? We always love to hear from our reader base, so check out our comment guidelines and leave us your thoughts! The post Venmo For Business: Is It Worth It? appeared first on Merchant Maverick. What Is Chase Pay And How Does It Work? The Chase Pay app is a digital wallet developed by Chase Bank. Instead of having to take out your wallet, find your credit card, swipe, and wait, a digital wallet like Chase Pay works by scanning a QR code on a smartphone or with a tap using near-field communication (NFC) technology at a credit card terminal. Through this post, we are going to explore why accepting digital wallet payments can be a good move for business owners and why the digital wallet offered by Chase Pay is a great option for customers and merchants alike. It is no secret that the world of payment processing is evolving quickly. Non-cash payments are becoming commonplace, but that doesnât mean that weâre diving into a cashless system quite yet. The reality is that half of payments made are still paper-based or manual, according to JPMorgan Chase. Despite their continued use, these manual types of processing transactions represent a more expensive way to do business, cost more working capital from businesses, and take more time to settle the payment between the seller and buyer. Chase Pay provides new opportunities to settle things faster electronically (and less expensively) and it can also make life easier for the people who use it, offering faster ordering and pick-up times, a quicker check-out process, and built-in reward and discount programs. Read on to find out more about Chase Pay and how it can help you improve engagement and offer a better incentive for customers. Chase Pay offers digital wallet and online payment options. Through the Chase Pay app, customers can pay with only their phone by tapping (if linked to Samsung Pay) or scanning a QR code. You can combine all your Chase-eligible cards, wallets, loyalty programs, and rewards so you can apply what you need quickly at checkout. No more fumbling for the loyalty card on your keychain while also digging your card out of your wallet. Not only that, Chase often runs promotional deals to encourage first-time users to shop in more places. To sweeten the deal even more in this competitive digital wallet space, Chase Pay also recently introduced Chase Offers. Once you are in your app, you will see any offers available to you and can click on an offer to activate it. The offer appears as a statement credit after 7-14 business days. You donât need to register, use any vouchers, or apply any codes. Once you activate an offer you like, it is applied whenever you make a purchase with Chase Pay. These offers are not the same as (and donât replace) your rewards. You continue to earn any rewards on your purchases through Ultimate Rewards points, your miles, or any other reward program youâre enrolled in. The selection of shops, big-box stores, and restaurants that accept Chase Pay is somewhat limited at this point. However, there is still a decent list of merchants that accept Chase Pay, including big names like Starbucks, Shell gas stations, and Walmart. Within the app, you can also search for places near you that accept Chase Pay, so you will likely never have a shortage of shopping options. Since your Samsung Pay account can be linked with your Chase Pay account, this option opens up literally millions of shopping options for you (Samsung Pay has a much larger footprint). Linking these accounts also makes life easier because you can check-out with a tap rather than a QR scan. Itâs important to note that Chase Pay doesnât work when it comes to purchasing with your business accounts or under your business profile. But it may be worth your while to consider setting up Chase Pay to process in-store or online orders for your customers! Now, more than ever, customers are making more inquiries into the types of payments accepted. According to a recent Forrester estimate, mobile payment transactions continue to skyrocket and will triple to $282.9 billion in only a few short years. That means that the expectations from customers are only going to get stronger when it comes to check-out options. It is also important to make sure you are giving your customers a choice when it comes to cashless payments. Retailers are spending increasingly more time vying for customer loyalty and seeking engagement ROI through mobile, cashless payment. Here at Merchant Maverick, we like Chase Pay because it can provide some extra exposure for your business while giving customers more incentive to buy. Depending on your industry, you may be able to take advantage of partnerships ChaseÂ has formed. For the food industry, for example, Chase has partnerships with LevelUpÂ® and TouchBistroÂ® for order-ahead, loyalty programs, and additional special offers to apply for your customers. Grocery and retail stores can let their customers take advantage of contactless or QR payment options. Setting Chase Pay up at your store shouldnât be a hassle,Â because it likely works with your existing terminal. If your current credit card terminal accepts chip cards (EMV) the odds are good it’s also configured to accept NFC/contactless payments. All of these options let you give your customers more convenience through pre-ordering or faster checkout. People are driven by convenience and saving time, and customer expectations are only going to increase these next few years. Ready to check out the Chase Pay app for yourself? Head to the Apple or Google Play app store and download the app. Youâll need to log in with your Chase account username and password. If you have more than one card through Chase, youâll also be able to select your default payment card. You will also be able to select the card you want to use when it is time to pay. The post What Is Chase Pay And How Does It Work? appeared first on Merchant Maverick.